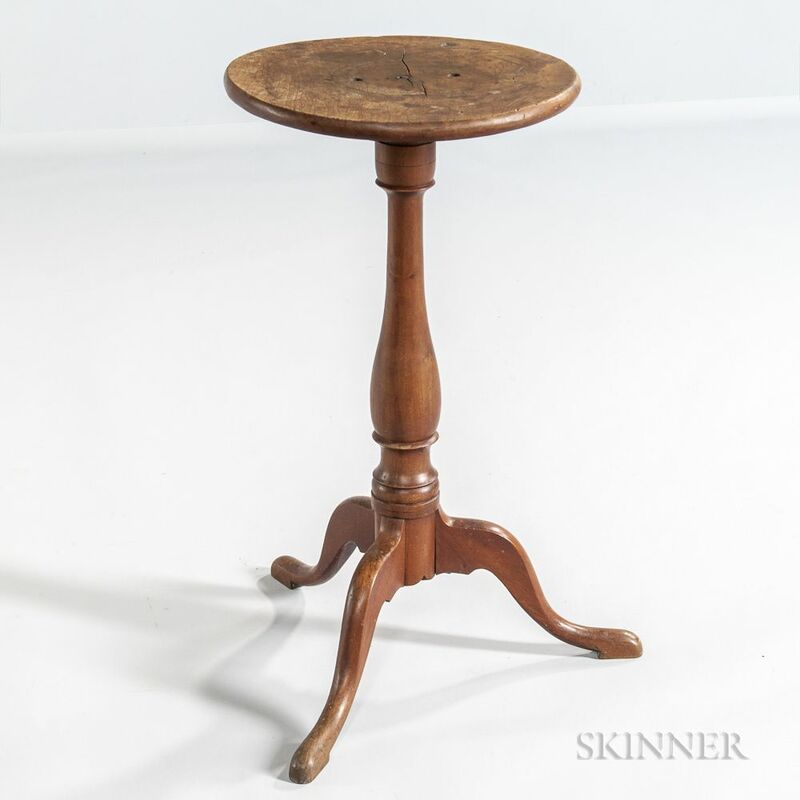 Small Cherry Candlestand, New England, late 18th century, the circular top joined to the turned post by a single cleat, all on tripod cabriole leg base, ht. 26 1/2, dia. 14 1/4 in.